The latest MCU smash leaves out something critical from the hero's identity. 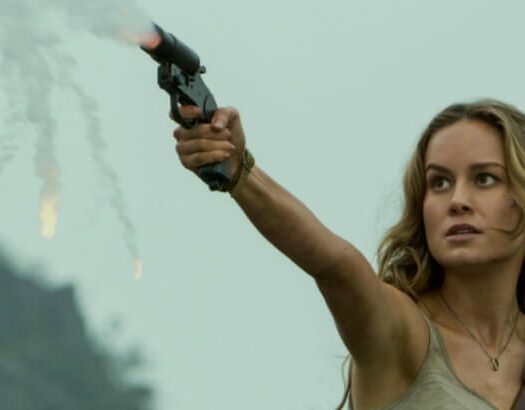 I went to see “Captain Marvel” this past week, and I have some pretty good things to say about the film. The CGI won me over. The fight scenes— mostly—proved fun or convincing, depending on the scene’s thematic vibe. Samuel L. Jackson’s techie youth makeover did not distract me from the story. It was nice to see Agent Coulson, once again played by Clark Gregg. Take a look through the exclusive @EntertainmentWeekly photos from Marvel Studios’ #CaptainMarvel! Read more on EW.com. The worldbuilding of the Kree, Star Force and the Skrulls were decently grounded. The Flerken cat coughing up a Tesseract hairball onto Nick Fury’s desk pushed my average review up to a slightly mediocre one. I gave it a fair 6-7 out of 10. The film will probably age better once the modern-day political plot points weaken over time. 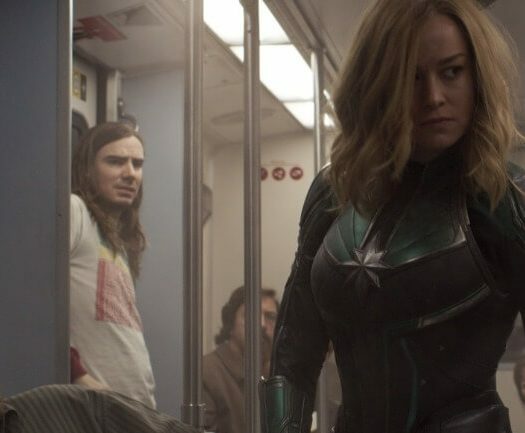 FAST FACT: “Captain Marvel” earned $153 million in its U.S. opening weekend. There were some elements that cost some review points. Still the most irritating part is how they stripped Vers/Captain Marvel’s character of nearly all her femininity. While I also had some issues with 2017’s “Wonder Woman,” “Captain Marvel” plays like an apology for femininity in general. With star Brie Larson’s comments on how the film is about “intersectional feminism,” I can easily see where this would be a form of reparations for liberal Hollywood (the scene where Vers says, “I didn’t know,” to Talis, one of the Skrulls, is one of her more empathetic, convincing scenes). The film will probably age better once the modern-day political plot points weaken over time. The moment Fury types in “Avenger” into his protection initiative because of Carol Danvers’ Air Force plane, it was like they were just trying too hard to use the history of the Avengers to bring the MCU to an equal male-female balance. And then Vers’ character is written so that it hardly matters she’s a woman at all. Yes, that’s right. There is nothing about this film that shows the uniqueness that comes from being a female superhero. Everything about Vers focused on her warrior status—her strength, her knowledge, even her friendships (which were a little limp or bland, with Maria and Monica as the given exceptions). The flashbacks of her earth past highlighted the conflict of her trying to make her own destiny. I’m not against that. But everything was against her because “she was a girl,” because she was “weak.” Later, the film took great pains to make her femininity as muted as possible. It’s like the screenplay agreed that was the problem and has nothing to do with the solution. It used to be that it was a waste of a good woman to try to make her into a man. Now it’s a waste of a good man to be a man and a waste of a good woman not to try to make her into a man. So, here’s my proposal: We need an Anti-Bechdel Test. The Bechdel Test, or Bechdel-Wallace Test, checks if a film features at least two lines spoken between women that have nothing to do with the male love interest. Plus, the women themselves have to be more than eye candy or a male prop throughout the storyline. They should add to the overall drive of the film. That’s not necessarily a bad idea with most films (I would make an exception for Rom-Coms). The problem then becomes when female characters are just used as stand-ins for male characters. For this film, there are some legitimate complains the fandoms have leveraged, given that the Captain Marvel was a man in the comics, and Annette Benning’s character was originally a male, too. But the comics also have a woman for Captain Marvel, and the studios decided to go with this version. And that’s fine. Really, that’s fine. But would the film have been so very different if Vers was a man instead of a woman? Her guiding motivation, from Maria’s comments, was to risk her own life to save others’. Admirable, compassionate, strong, yes—but both men and women can do that. Her desire to find out about her past is understandable, given her dreams and the Central Intelligence, and her source of power. Her ambition and the resulting risks she takes because of make us cheer. The betrayal of her teachers, the misinformation of her battle and the tenuous bond between her cohorts in battle are all emotionally developed moments. But she could just have easily been a man for that. The only moment I can think of where it made actual sense she was a woman was when she went back to get her boots from the Skrulls. If she had been written as a man, they wouldn’t have taken her shoes off. She had her shoes taken off, and couldn’t she have had a sparkly pedicure, hinting at a silly or pretty side? But there was no sexual tension (barely any relationship, really) between her and Jude Law’s character, Yon-Rogg, and no moment where she exudes a compassionate amount of regret for having to beat up and in some cases kill the people who trained and worked with her for the past six years? Vers’ deficiency is juxtaposed with Maria’s character (Lashana Lynch), who had the softness and motherly love of a well-rounded, strong female character who could still lay claim to femininity—her necklace shows her heart is in her child’s life. I was a tad disappointed when Monica’s choice of Vers’ new colors didn’t light up in unicorns and pink and purple or other more feminine designs or patterns. For all the issues I do have with “Wonder Woman,” I liked the character’s excitement over babies, her attraction to Steve Trevor and both her mercy for the evil lady doctor and her sense of justice for Ares. That movie passes the Anti-Bechdel test. Here’s hoping “Captain Marvel 2” will, too. C. S. Johnson is the author of several young adult novels in a variety of genres. If you like superhero high school stories, check out her epic fantasy series, The Starlight Chronicles. With a gift for sarcasm and an apologetic heart, she currently lives in Atlanta with her family. Find out more at Johnson’s official Web site.